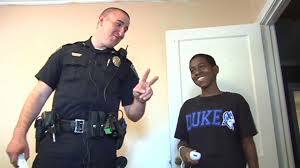 Police Officer Buys Bed, TV and Wii For Teen Who Has Nothing. If only more police stories would end like this one. 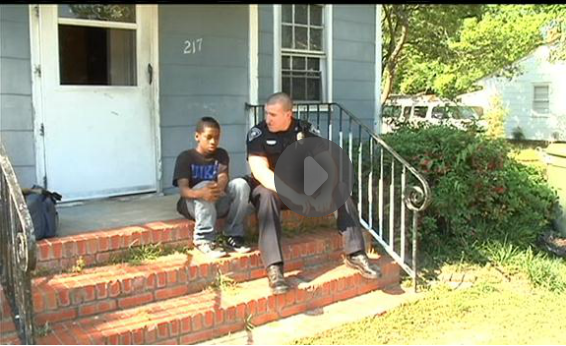 A Sumter police officer went above and beyond his normal duties a few weeks ago when he received a call from 13-year-old Cameron Simmons. Simmons was upset with his mother and called police saying he did not want to live with his family anymore. Officer Gaetano Acerra responded to the call. When he met with Simmons he tried to encourage him, “You have it good, you have a roof over your head.” Acerra told the boy that he would try to help him. When Ofc.Acerra took him back to his home he saw that the boy had nothing that a teen his age should have. His bedroom was practically empty, he had no bed. “My heart went out to him. I thought the little things that he needed I could give him, to make him a happier kid,” said Acerra. A few weeks later the officer showed up at the boy’s house with a truck full of things. He arrived with a bed, TV, desk, chair and a Wii video game systems that someone donated when they heard his story. Simmons was so excited. He told the officer he was very thankful that his back would not hurt anymore when he slept at night. “I did not do this for publicity or to get people to notice me,” said Acerra. “I did it because I could. It was the right thing to do and I think people should do things like this.” Acerra gave Simmons his cell phone number and they are in touch regularly. They said they will be lifelong friends.